And that’s just for the first half of 2010. The smartphone app market continues to grow – in total volume of downloads and sales, the mobile app market is growing fast, beating 2009 numbers in just the first half of 2010. That’s the analysis from Research2Guidance.com, who reported this week that the global smartphone apps market reached $2.2 billion in the first half of 2010 – topping the $1.7 billion in revenue for all of 2009. Downloads are growing rapidly too, reaching 3.9 billion in the first half of this year versus 3.1 billion for all of last year. According to Research2Guidance analysts, the growth can be attributed to more smartphone users have direct access to app stores, not just the popular iPhone app store but similar efforts from rivals including Nokia, Blackberry and Google/Android. The firm contends that the number of app stores will actually continue to proliferate, predicting the emergence of vertical industry or niche stories, such as a mobile shop focusing on mobile health apps. According to the firm, the average price paid per application was $3.60. Mobile app developers and distributors – including mobile operators – must keep a keen eye on pricing trends, it said. 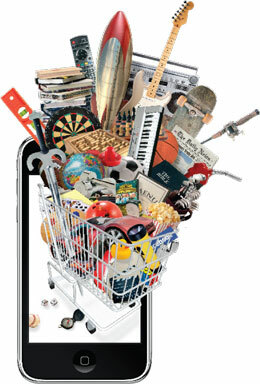 “App publishers should be aware of the price differences between stores and mobile platforms. These price differences are a sign of a lack of market transparency. They represent a good business opportunity, but not for too long,” the analysts said in a blog post.